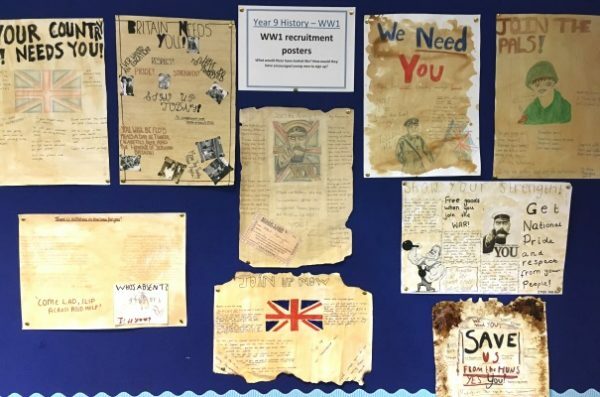 Pupils in Year 9 have been exploring the context to World War 1. As part of their homework, they created some really authentic looking recruitment posters. They had to think about the materials that would have been used in WW1, the audience that they were targeting (young men) and consider the benefits that had to be communicated to young soldiers. Pupils also thought about their local area and what would have made a suitable meeting place for recruiting young soldiers. A great piece of display work Year 9!